The strings of the grand piano are positioned horizontally, extending away from its keyboard. The upright or vertical piano, on the other hand, presents a more compact form with its frame and strings vertically positioned. Its hammers move horizontally likewise and go back to their positions with the help of springs. 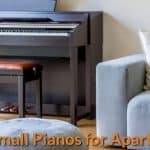 This makes the upright piano ideal for use in much smaller spaces. Vertical pianos are widely used in community centers, churches, schools, and music conservatories. 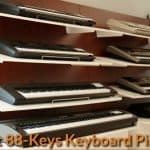 If you are shopping around for an upright piano, you might as well consider this brand, specifically, the Bechtein Concert 8 model. It features a 13-cm tall upright piano that provides enough headroom for a tremendous internal acoustic assembly that is quite similar to that of the C model. Bechstein, as a piano brand, thrives in providing grand masterpiece of sterling class pianos. The Concert 8 model, for example, epitomizes a sophisticated piano, capable of providing great dynamism and colorful timbre. It offers optimized sound development with other outstanding characteristics. For this reason, this upright piano model is much revered by expert musicians, including the famous dynamic duo of “Simon & Garfunkel and the Fabulous Four “The Beatles.” In fact, this model is considered to be the royalty when it comes to upright pianos. This is surely not an overstatement. But it bears so much truth. 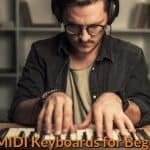 The hefty price of this piano, however, would surely deter beginners from purchasing this model. Blüthner is a brand that has long been known for producing all types of pianos. It was established by Julius Blüthner and has been around since 1853. Blüthner’s Upright Piano models have a patented 49″ height, 61″ length, and 24″ width, saved for the Model S that comes with larger dimensions. It also comes in various finishes like Satin and Polished Ebony, Cherry, Mahogany, Walnut, White, Bubinga, Rosewood, Yew, Burl, Macassar, Saxony Polished Pyramid Mahogany, and Walnut or Camphor. Its general features include a solid spruce soundboard with Delgnit pinblock and Renner action. It also features Abel hammers, traditional sand cast plate, and practice mute pedal. Moreover, it also features a polyester finish and comes with 10-year parts and labor warranty. The Blüthner company is a very prolific piano manufacturer, building around 100 verticals every year in all different sizes. The vertical pianos it produces are also characterized by warmth of sound, with romantic, thicker, and darker tone. Moreover, its products are known to have superb materials, yet they are reasonably priced. Lastly, Blüthner moves out of the box by lengthening the width, height, and depth of its upright piano Model S offerings. Steinway & Sons is a brand name that is probably the most popular and most revered piano brand. This company built its brand name behind meticulous craftsmanship. Each of their piano models consists of 12,000 components. Steinway & Sons is considered to be the founders of modern piano and have been known for 127 patents of pianos connected to its name. The best-known models of uprights manufactured by Steinway & Sons are the Model K Professional Upright and the Model 1098 Studio Upright. The traditional K-52 model towers at 52″ with the width of 60 3/4″ and depth of 26 3/8.” Its rim has a solid back frame, and it also comes with the birch mortised foot-piece that make its piano more elegant. It also features a solid birch soundboard lining with grand-type maple laminated closing rim. Moreover, it showcases unequaled vertical stability and strength. Steinway & Sons piano braces feature five full-length spruce braces in the tapered style with an impressive volume of 3,600 cu. in. This assures its owner of a back-frame that will surely remain straight and capable of promoting consistent tuning and stability. Its ribs are made from resinous sugar pine that is durable. The rib ends, on the other hand, are hand-fitted into the mounting surfaces. Its other parts are of sterling quality and design, making this piano model a real quality buy. Lastly, this brand has been continuously receiving awards from world-renowned organizations. The Fazioli company is just a recent addition to the list of piano manufacturers. They only began producing pianos in the year 1981. However, despite its being a neophyte in the field of piano manufacturing, it has been able to produce some of the best pianos in the world. Hence, the piano products associated with Fazioli have also been known for their expensive price tags that range from $100,000 to $300,000. The company only produces a handful of pianos every year from 120 to 130 piano units. The sad thing, however, is that Fazioli does not yet build upright pianos but only grand pianos. The Kawai Company has been here for almost 90 years and has already been producing musical instruments for several decades. Kawai Musical Instruments is known to be the architect of modern piano and has been boldly producing sterling piano models for a very long time. 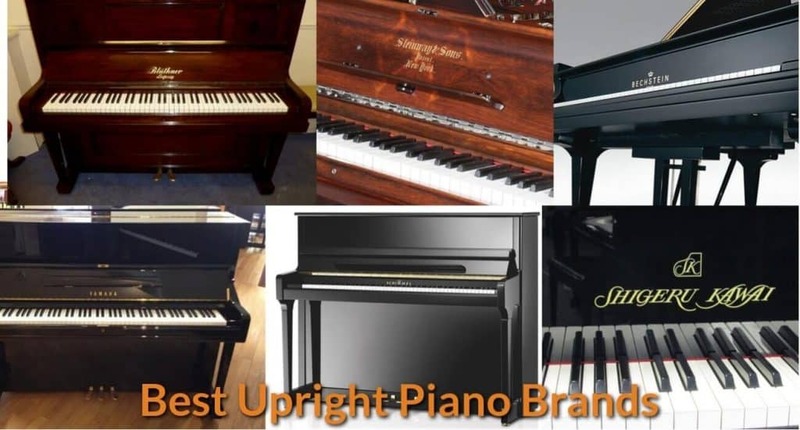 Some of its upright piano offerings include the K-series (K-800, K-500, K-400, K-300, and K-200), Anytime Pianos, and the Designer Series. The pianos produced by Shigeru Kawai are well-known for their blend of technical innovations and traditional craftsmanship. The components of the pianos that this company produces are made from the finest available materials. The soundboards, for example, is derived from 10-year aged wood of the rare Ezo Spruce found in the mountains of Hokkaido. Combined with the piano action of the Millenium III, the pianos of this company are surely continuously receiving high praise from their users. Moreover, Kawai’s pianos are characterized by vibrant tonal depth. 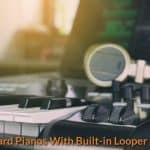 The company only produces 250 pianos a year, and for this reason, a piano unit from this company is highly desired and valued by piano enthusiasts. The founder of this company is Wilhelm Schimmel, a learned and experienced piano maker. He founded his company in the year 1882. The leadership of this company is already in its 4th generation of successions. The Schimmel line of production is generally divided into four levels. The upper level that is mainly focused on latest design using computer-enhanced scale and concept. Classic, on the other hand, is the traditional line, while the “International” is primarily assembled in Germany but have many outsourced parts. The Schimmel Upright Piano Models include the Schimmel C116, Schimmel C120, Schimmel C126, Schimmel C130, and Schimmel C213. Schimmel has also produced upright pianos that are known for sterling quality and durability. Schimmel surely stands proudly for being one of the best piano manufacturers in the world. Moreover, Schimmel has been the most-awarded manufacturer of the piano in Germany. The pianos produced by Schimmel are surely known for impressive tonal quality and beautiful sound. One of its widely popular pianos was the glass piano which was unveiled in 1951. One Company that has been widely known for producing high-quality musical instruments including pianos and upright pianos is Yamaha. It was established in 1887 as a reed organ and piano manufacturer by Torakusu Yamaha. Yamaha has then grown as a highly respected brand in piano production. Yamaha has various offerings of upright pianos including the U Series, YUS Series, B Series, and P22. Many experts think that the B series is designed for home player and they consider this series as Yamaha’s best entry-level pianos for school and home piano enthusiasts. B3, for example, is a solidly-designed upright piano made of solid spruce soundboard capable of producing colorful tonal resonance. 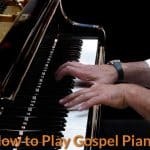 It is very affordable, however, and is ideal for use by those who are just beginning to learn the rudiments of piano playing. The N series, on the other hand, is more exquisite and is considered a prestige model designed for advanced professional piano players.